The Kingdom of Poland, also known as the Congress Kingdom or Russian Poland, was created by a decision of the Congress of Vienna as part of its attempt to set up a post-Napoleonic European order. It incorporated lands that for many decades had been the most important centres of Polish politics, finance, education, and culture, and which also had the largest concentration of Jews in eastern Europe. Because of these factors, and because its semi-autonomous status allowed for the development of a liberal policy towards Jews quite different from that of Russia proper, the Kingdom of Poland became a fertile ground for the growth of Jewish cultural and political movements of all sorts, many of which continue to be influential to this day. This volume brings together a wide range of scholars to present a broad view of the Jewish life of this important area at a critical moment in its history. In the nineteenth century, tradition vied with modernization for Jews’ hearts and minds. In the Kingdom of Poland, traditional hasidic leaders defied the logic of modernization by creating courts near major urban centres such as Warsaw and Łódź and shtiblekh within them, producing innovative and influential homiletic literature and attracting new followers. Modernizing maskilim, for their part, found employment as government officials and took advantage of the liberal climate to establish educational institutions and periodicals that similarly attracted followers to their own cause and influenced the development of the Jewish community in the Kingdom in a completely different direction. 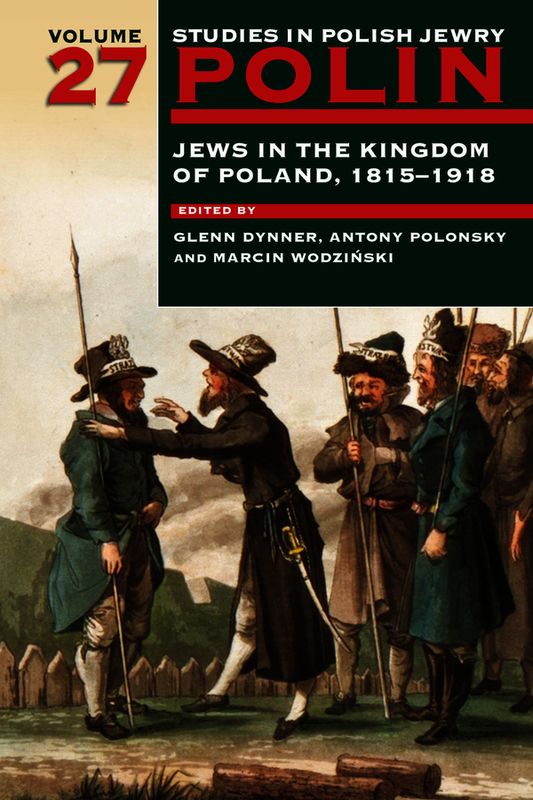 Their immediate successors, the Jewish integrationists, managed to gain considerable power within the Jewish community and to create a vibrant and more secular Polish Jewish culture. Subsequently Zionism, Jewish socialism, and cultural autonomy also became significant forces. The relative strength of each movement on the eve of the rebirth of Poland is extremely difficult to measure, but unquestionably the ferment of so many potent, competing movements was a critical factor in shaping the modern Jewish experience. Glenn Dynner is Professor of Religion at Sarah Lawrence College, and was the 2013–14 Senior NEH Scholar at the Center for Jewish History. He is the author of Men of Silk: The Hasidic Conquest of Polish Jewish Society (2006) and Yankel’s Tavern: Jews, Liquor, and Life in the Kingdom of Poland (2013). He is also editor of Holy Dissent: Jewish and Christian Mystics in Eastern Europe (2011). Antony Polonsky is Professor Emeritus of Holocaust Studies at Brandeis University and Chief Historian of the Polin Museum of the History of Polish Jews, Warsaw. He is the author of the three-volume History of the Jews in Poland and Russia, published in an abridged paperback version as The Jews in Poland and Russia: A Short History. Marcin Wodziński is Professor of Jewish Studies at the University of Wrocław. His special fields of interest are the social history of the Jews in the nineteenth century, the regional history of the Jews in Silesia, and Jewish sepulchral art. He is the author of several books, and is editor of the Bibliotheca Judaica and Makor/Źródła series. He is vice president of the Polish Association of Jewish Studies and editor in chief of its periodical, Studia Judaica. In 2011 he was awarded the Jan Karski and Pola Nirenska Prize by the YIVO Institute for Jewish Research.